Rosella Mae Chester died peacefully at Regions Hospital in St. Paul, MN on November 12, 2017. Partner and best friend to Stewart Edward Chester for 73 years. Mother to Beverly, William (Bill), Clarisse and Gary, grandmother to eight, great-grandmother to nine and great-great-grandmother to two. The youngest child of William and Clara (Sherwood) Bohan, she was preceded in death by her loving parents, three brothers and three sisters (Blaine, Dorsey and Wilbur; Belle, Delvina and Loretta), soulmate Stewart, son Bill and grandson Shane. Born and raised in Elkins, WV, she met Stewart, who was in Army Airborne training, at the local campus club - love at first sight, they married six weeks later. The couple relocated to the Chester family farm in Minnesota, Stewart departing shortly thereafter to serve in WWII. Upon his return, they bought their first home in Kasota before ultimately settling in Dundas. In addition to raising four children, Rosella provided financial support to the family, most notably at Sheldahl where she was proud of contributing to the Echo 1 satellite program and Apollo 11 for NASA. During her tenure, she was also fortunate to make several lifelong friends. Proceeding her retirement, she enjoyed working on the house, doing crafts and spending time with grandchildren. Rosella's big, open heart appreciated and took delight in most everything, including music, dancing, baking, matching socks and earrings, and the Cannon River. 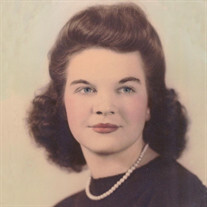 She enjoyed sewing, playing bingo and cards, eating sweets, and hosting gatherings. Above all else, she generously and unconditionally loved her family. She dedicated herself to ensuring the holidays were special, lavishly decorating and cooking the most delicious meals. Her chicken and dumplings were beyond measure. Rosella was an incredible listener; empathetic, nonjudgmental and wise. She had a natural joy and grace, consistently effusive with her affection and the door always open - with the extraordinary ability to see the good in everyone; she was a friend to all. She loved to travel, though a West Virginia girl at heart. Rosella's big kisses on the lips, kind, patient, loving spirit and beautiful, easy laughter leave us with a tremendous void in our hearts. A private funeral service will be held on Friday, November 17, 2017 at Parker Kohl Funeral Home & Crematory of Faribault, with the Rev. Henry Doyle officiating. Internment will be held at Meadow Ridge Memorial Park.